"Folic acid supplementation is considered one of the most significant public health breakthroughs in recent years. By providing mandatory folic acid fortification, as 87 countries, including the U.S. since 1998, now do, we can prevent the vast majority of neural tube defect cases. 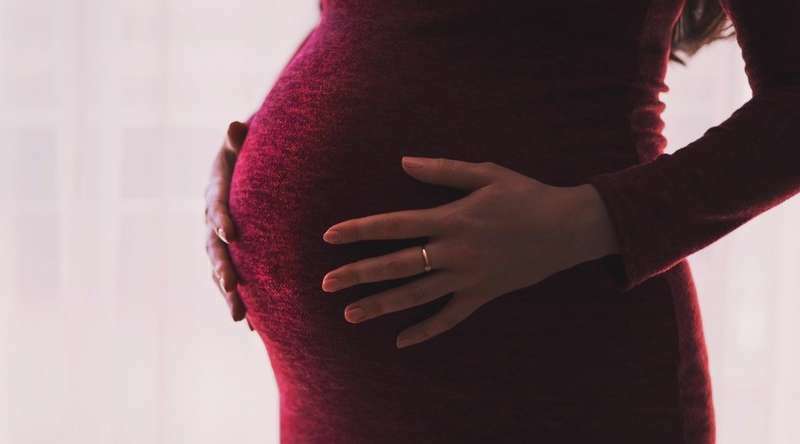 But in about 30 percent of the cases, folic acid is not protecting," said corresponding author Dr. Richard Finnell, professor in the Center for Precision Environmental Health at Baylor College of Medicine. "Lacking enough folic acid inhibits DNA synthesis and cell proliferation and can have serious consequences, especially in the growing embryo which is engaged in active cell proliferation to develop a complete baby," Finnell said. "Folic acid deficiency in the embryo, together with genetic and environmental factors, can result in failed closure of the neural tube and lead to defects." "In our study, we asked whether disrupting formate synthesis by silencing the Slc25a32 gene that transports the precursors of formate into the mitochondria would also result in neural tube defects in mice," said first author Dr. Yunping Lei, assistant professor in the Center for Precision Environmental Health at Baylor College of Medicine. "When we genetically engineered mice to lack the formate transport protein produced by the Slc25a32 gene, all of the mutant mice had neural tube defects. When we provided pregnant mice with extra formate, we were able to prevent neural tube defects in 78 percent of the offspring carrying a defective Slc25a32 gene." "We know that the patient has a neural tube defect, but we would need further studies to determine how involved the SLC25A32 gene is in the condition," Finnell said. "Neural tube defects can be caused by variants in over 300 genes in the mouse, so we anticipate that many genes also are likely to be involved in the human condition." "I am most excited about the connection we have made between the mouse model and the human condition through the SLC25A32 gene," Lei said. "We now have a novel mouse model of human neural tube defects in which we can study the complex interactions between genetics and the environment that lead to this condition, and explore strategies to prevent the defects from happening." "My lab is all about preventing preventable birth defects," Finnell said. "Even though we do fortify foods with folic acid, there are still babies born with neural tube defects. Folic acid has been a major public health advance, but the problem has not disappeared. We cannot lose sight of the fact that babies can still be born with neural tube defects even when the mothers take folic acid supplements."